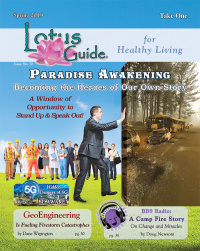 Lynn V. Andrews is a leader in the field of spirituality and personal development, and is ranked as one of the top self-improvement experts in the world and the leading teacher of global shamanic cosmologies. She is the author of the celebrated Medicine Woman series of books; lectures and workbooks for personal growth, including Mask of Power and Teachings Around the Sacred Wheel; The Power Deck: Cards of Wisdom; and meditation CDs, tapes and exercises for spiritual growth and enlightenment. Medicine Woman has been translated into 12 languages and is now in its 46th printing. “Lynn Andrews is a quietly powerful phenomenon.” Los Angeles Herald Examiner. Lynn Andrews is the New York Times and internationally best-selling author of the Medicine Woman Series, which chronicles her three decades of study and work with shaman healers on four continents. Her study of the way of the sacred feminine began with Agnes Whistling Elk and Ruby Plenty Chiefs, Native American healers in northern Canada. Her quest for spiritual discovery continued with a Shaman Curendera of the Mayan Yucatan; an Aboriginal woman of high degree in the Australian Outback or Nepalese healer in the foothills of the Himalayas. Today, she is recognized worldwide as a leader in the fields of spiritual healing and personal empowerment. A shaman healer and mystic, Ms. Andrews is widely acknowledged as a major link between the ancient world of shamanism and modern societies thirst for profound personal healing and a deeper understanding of the pathway to enlightenment. She is initiated as a member of the Sisterhood of the Shields, 44 women who are healers from cultures as diverse as Panama, Guatemala, Australia, Nepal, North America and the Yucatan. Remaining hidden, the Sisterhood has appointed Ms. Andrews as their public messenger. In addition to her Medicine Woman Series, she has written an additional 19 best selling books and workbooks about her work with these women and their unique and deeply profound teachings. Passed from generation to generation, their teachings, born of the sacred feminine, has been practiced, guarded and handed down from shaman to apprentice, mother to daughter, for over 5,000 years. Together with her teachers, Lynn Andrews is the architect of the Personal Act of Power, finding balance around the sacred wheel of life. 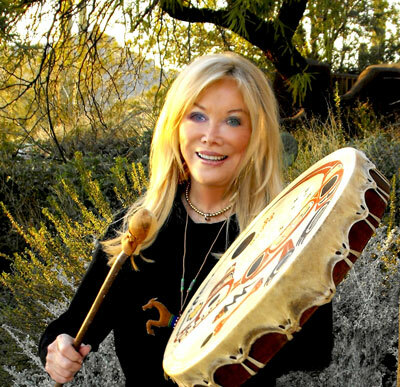 She presents these shamanic teachings in her four year program at the Lynn Andrews Center for the Sacred Arts and Training; provides online courses for conscious dreaming and manifesting your personal acts of power; and hosts annual live gatherings for shamanic healing and empowerment in Santa Fe, New Mexico and Hawaii, and Egypt.